IÃ¢â‚¬â„¢ve read a lot of posts regarding the best spacing for radish and how you shouldnÃ¢â‚¬â„¢t plant them too close together or it will stunt bulb growth etc. I have to call BS on this however. Nice! 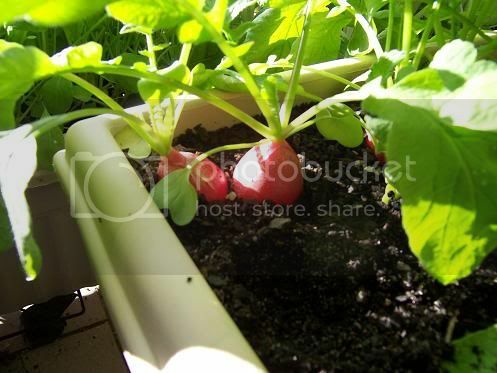 My radish grows very well in containers too. I never had problems with planting to close together. First I grow some seeds till they have 2 leaves. After that I'm planting them in my containers on a row. 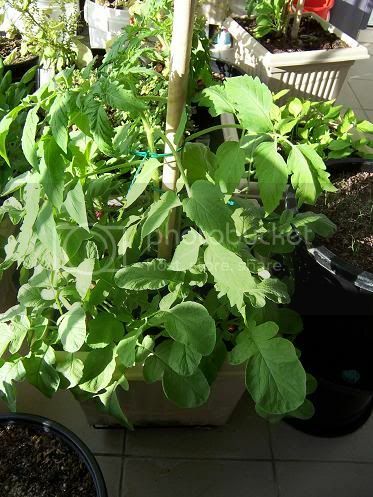 This works with the giant radish too (Riessen von Asperen) On my roof radish need however an awfull lot of water to get a good taste. Save dragons, defeat spoiled princesses, kiss from time to time a frog and harvests sweet raspberries. I really wana try watermelon radishes i heard they where sweet like a watermelon. I just checked my radishes, again, still no root. And they are blooming now, I pulled one in bloom, it had a tiny radish, 98% have nothing at all, not even a stem thickening. 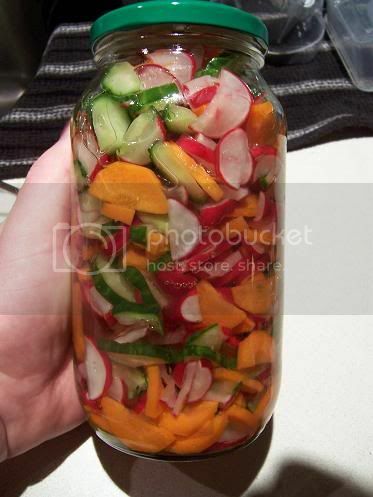 Is it possible to get radishes that are only for greens? I am ready to just pull them, make the radish top soup recipe posted here, and start over on them. 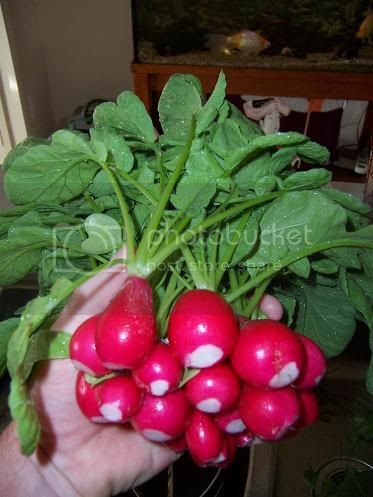 Why wouldn't my radishes make radishes? Any ideas? maby there grown to close togeather or maby not enoff phosphorus in the soil. I would say you can plant them pretty close as well. I have had good luck like this. One thing I wouldn't do is broadcast 3 packets of seed over your bed to see what will happen. I will tell what will happen you will radishes growing everywhere. Which is not a bad thing but now they are coming up around my other plants that weren't there at the time of the broadcast. I'm not much of a radish person but I must admit they do look GREAT!